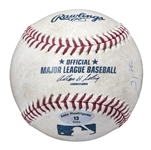 New York Yankees slugger Alex Rodriguez hit this very baseball for the 596th home run of his Major League career on July 6th, 2010 against the Oakland Athletics at Oakland-Alameda County Coliseum. Rodriguez came to bat in the top of the third inning with the bases juiced against A’s starter Trevor Cahill. 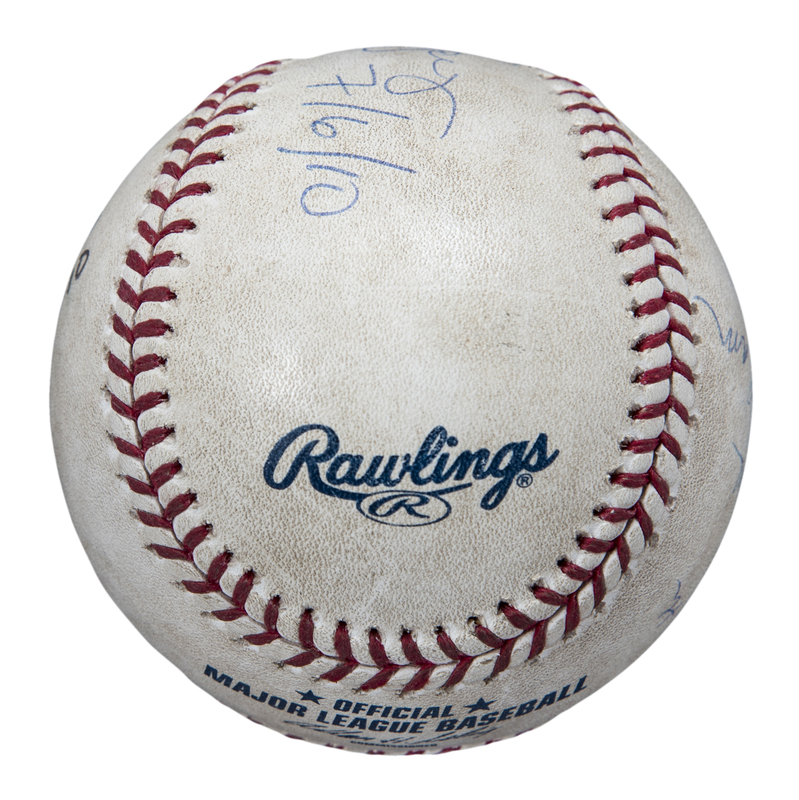 Sitting pretty on a 3-1 count, Rodriguez crushed Cahill’s fifth offering of the at-bat to deep left center for the 21st of his MLB-record 25 career grand slams. 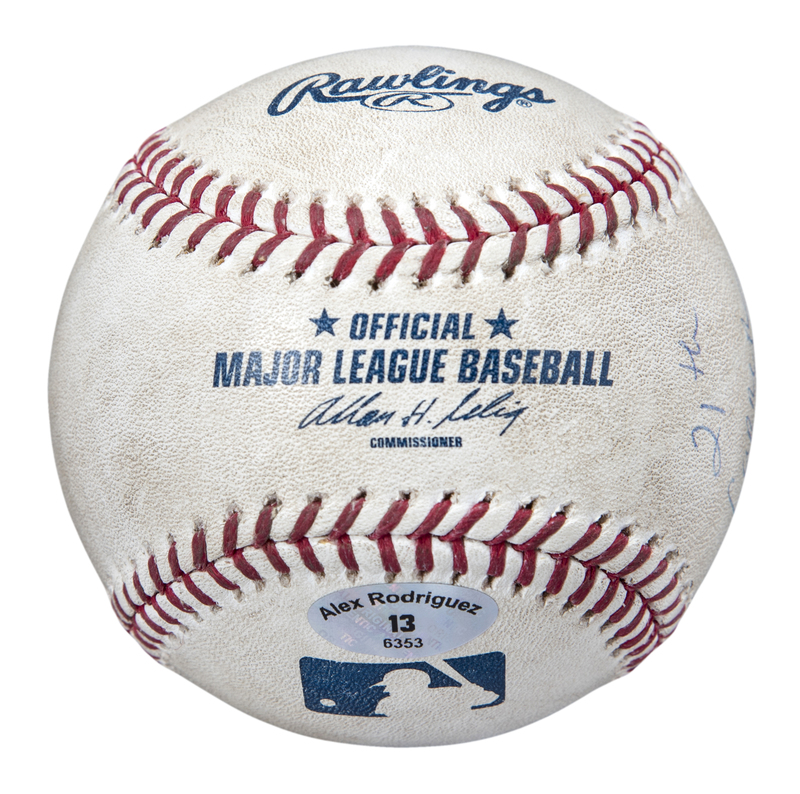 The day was far from over for the former Mariner and Ranger, as Rodriguez added a solo home run in the top of the sixth inning to cement the Yankees 6-1 victory over Oakland. 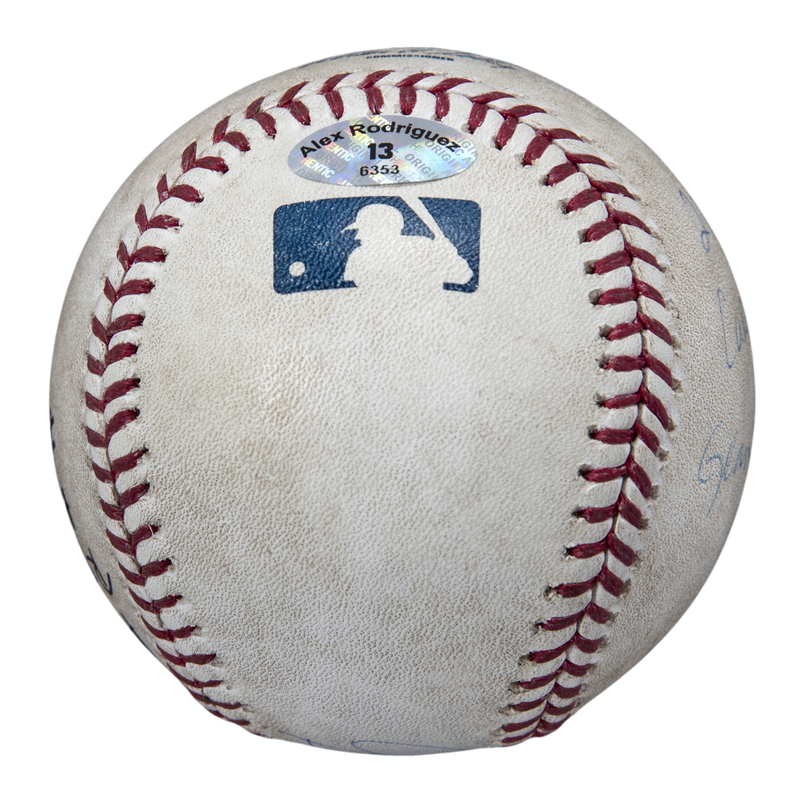 This offered baseball is an Official Major League Allan H. Selig sphere. 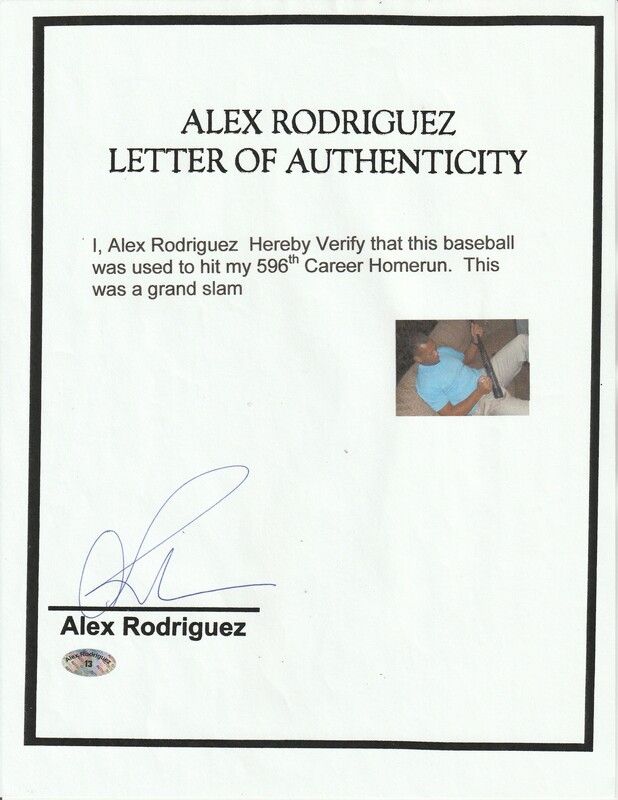 Rodriguez has signed the sweet spot in blue pen, inscribing “HR #596” and “7/6/10” below his signature. 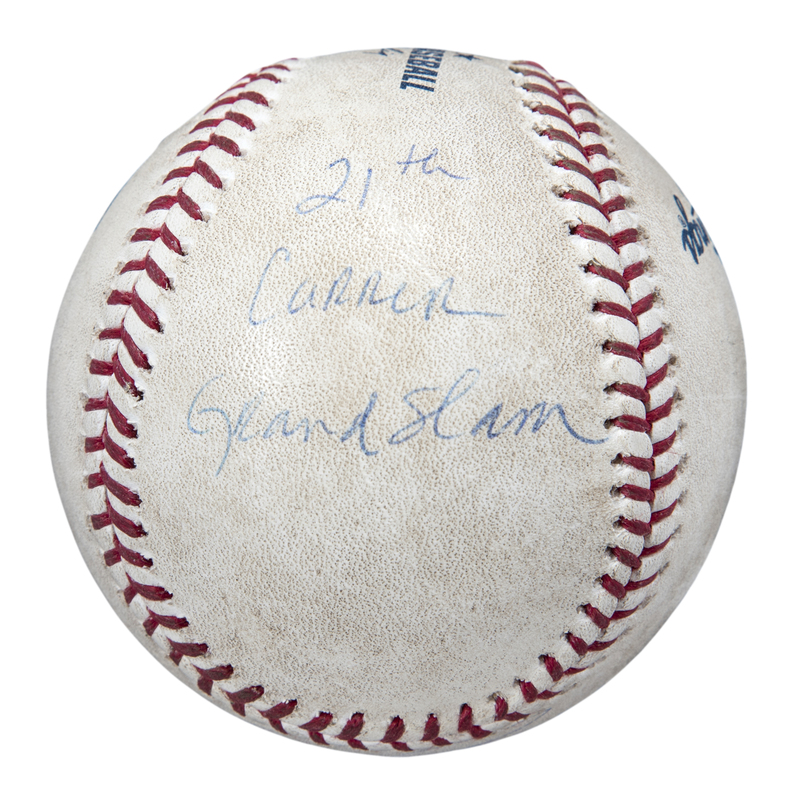 On the north panel, Rodriguez inscribed “21th[sic] Carrer[sic] Grand Slam”. 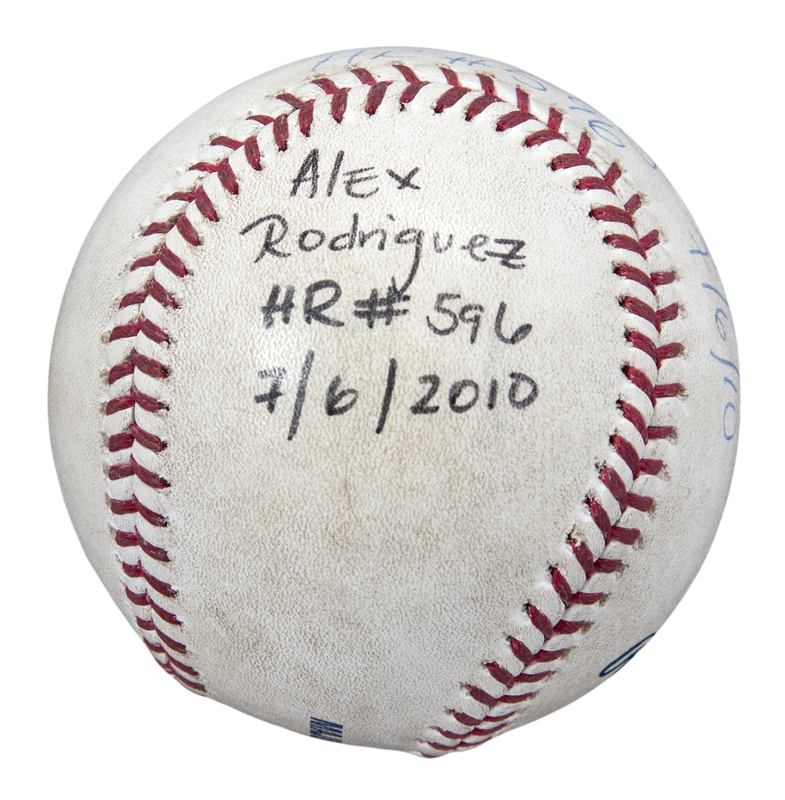 Written on the south panel in black marker is “Alex Rodriguez HR #596 7/6/2010”. 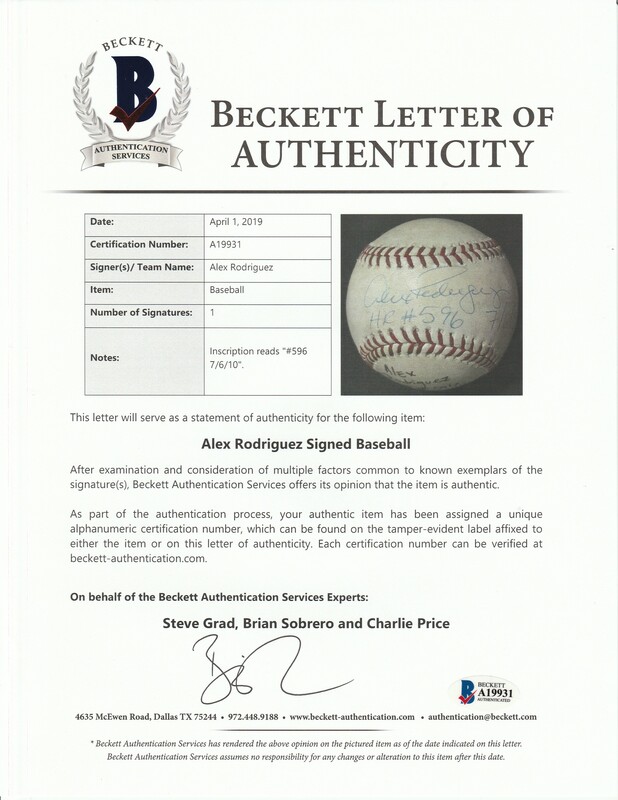 This historic baseball comes with a LOA signed by Rodriguez and a LOA from Steve Grad of Beckett Authentication.